Taking about finances can be a taboo subject, especially during tax season. Everyone has their own attitudes to money, based on any number of things including personal experiences, childhood beliefs and reports in the media. Not only can it cause personal stress, but feelings about money can affect or even destroy relationships. A recent study found that differing approaches to financial management were the leading cause behind most divorces. Developing a healthier relationship with money can remove much of the stress associated with the issues of making money, spending money and investing or saving money. When we are less stressed, we make better decisions, are happier with the decisions we make and are more likely to manage most aspects of our lives more efficiently. One of the most effective ways to begin the task of managing your financial situation is to find out exactly where you currently stand. Any simple Google search will come up with a huge variety of free budgeting sheets, where you can plug in your income and your bills to get a black and white portrait of your cash flow. If you are like most Canadians, especially for those under the age of 40, your out-going funds are probably equal to or more than the money you bring in every month. If it’s time for you to break the cycle then the library is a great place to help you find information and resources to plot a new road to monetary freedom, the best part is that the library is free of charge. The mantra of the new money planners takes into account your need to actually live while you get your financial house in order, so rather than putting you on a strict no-spending diet, these approaches are more about making long term lifestyle changes that will return you to a state of excellent money fitness. I grabbed some of the latest offerings on our shelves as a sample of what’s available. 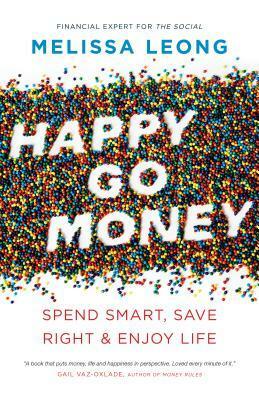 TV financial guru Melissa Leong has a new book Happy Go Money: Spend Smart, Save Right and Enjoy Life, which takes a practical but lighthearted approach to balancing your personal finances. All the important topics are covered and being Canadian, her take on investing and taxes is full of useful information. The book is full of funny anecdotes and helpful tips making it a great way to dip your toe in the world of planning but it’s her approach on gratitude, generosity, and self-worth that sets this book apart. If you are a novice at planning, then Chelsea Fagan’s The Financial Diet: a total beginner’s guide to getting good with money might be the book for you. Fagan, who has become a star on YouTube with her financial and lifestyle tips aimed at millennials, has written a great foundational book for those just starting their financial lives, but also works well for those who are starting their financial lives over due to traumatic events such as a divorce, bankruptcy or job loss. One of the best parts of the book is its straight talk about the emotional ramifications of “money problems” and explores how to deal with social situations when money is an issue without feeling embarrassment. 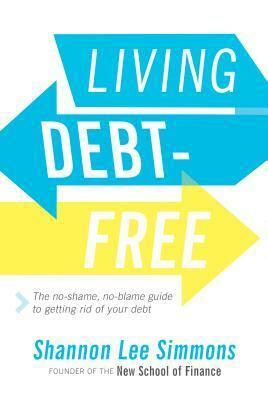 If debt has become a serious issue the Shannon Lee Simmons’ Living debt-free: the no-shame, no-blame guide to getting rid of your debt, might be the book you need. Simmons fills her pages with both practical advice and life coaching, reminding you “that you are more than your debt”. Taking the approach that problem spending, like problem eating or drinking, has a root cause, Simmons helps the reader explore the reasons that the debt occurred so that it doesn’t become an issue again. 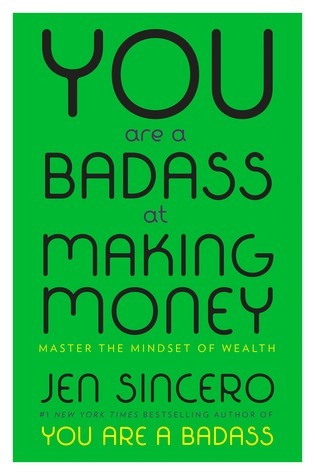 Finally, there is Jen Sincero’s You are a Badass at Making Money which is a self-help guide to having a healthier emotional relationship with money and believing in yourself enough to follow your dreams. Lori Kauzlarick- www.tbpl.ca. If you have a comment about today’s column, we would love to hear from you. Please comment below!